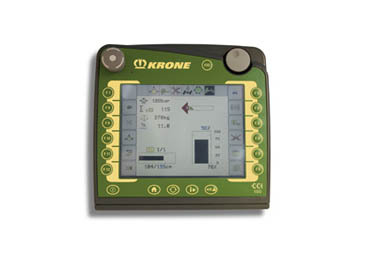 The unique Krone 870 HDP (XC) baler can be run as a standard large square baler or multibale. 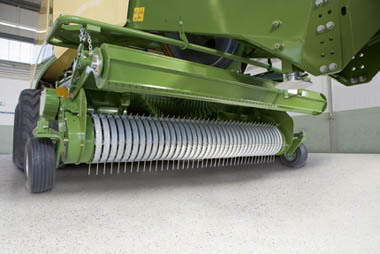 As a standard large square baler, the Krone 870 HDP (XC) produces HDP density in a bale size of 80cm wide by 70cm high. 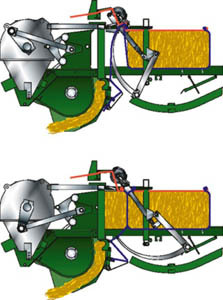 With a simple adjustment, the unit is transformed into a multibale, producing up to 9 small bales inside the large bale. 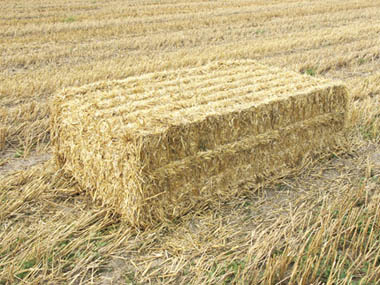 The small bales are of a weight and size similar to small square bales. 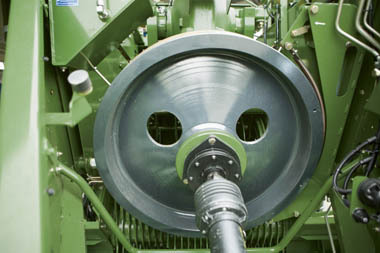 Featuring a large diameter of 550mm, the double tines, (which have been designed in sets of three across the full width of the cutting and feed rotor) pass the crop efficiently across the knives due to the V-shaped arrangement. X-Cut cutting system features 2 knife drawers with 16 knives on the 870HDP. The drawers can be lowered hydraulically and then easily pulled out of the machine, to the side, to install and remove the knives. In case of overload, the fully sealed and lubricated cam type clutch will disengage. Reducing throttle speed will clear the blockage and the cam clutch re-engages without stoppages or shear pin replacing. Features extremely long plungers which support the work of the needles. 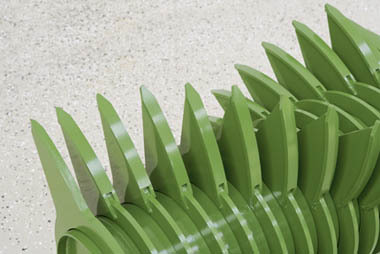 The plunger on BiG Pack 870 HDP operates at 50 strokes/min ensuring a quiet and smooth operation. 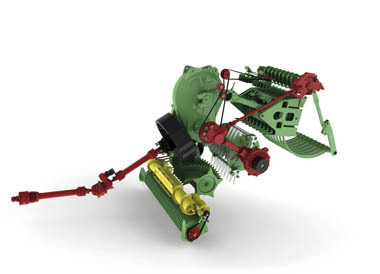 Using a divided needle yoke, the 870 HDP can produce one rock hard bale or up to 9 small bales with 2 strings, and bundled together with 3 strings around the large bale. Optional sensors fitted in the side doors transfer the measurements to the terminal, keeping the operator constantly up to date.